Tempeh is an amazing superfood. You can spend an hour chopping veggies, sauteing perfectly marinated tempeh, maybe its corn crusted or BBQ glazed. Yum. But if you are like me, time is precious and sometimes I am craving a tempeh sandwich or side in just say, two minutes. Here it is, my two minute tempeh recipe. Toss tempeh and the following ingredients into a microwave-friendly lidded dish. Cover lid tightly and shake the container to disperse the ingredients on the tempeh. You're done! 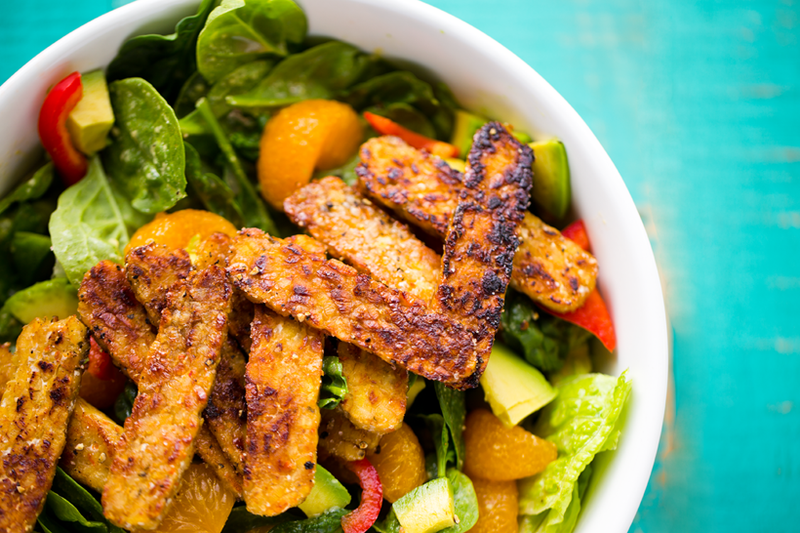 This tempeh is great for a quick sandwich or salad topper.